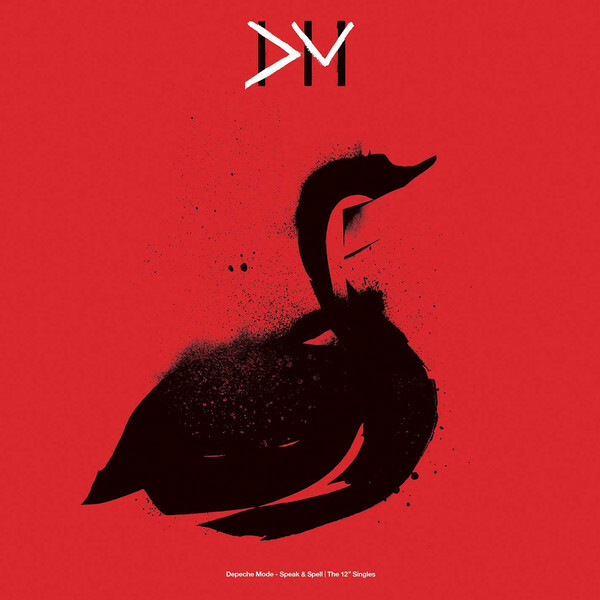 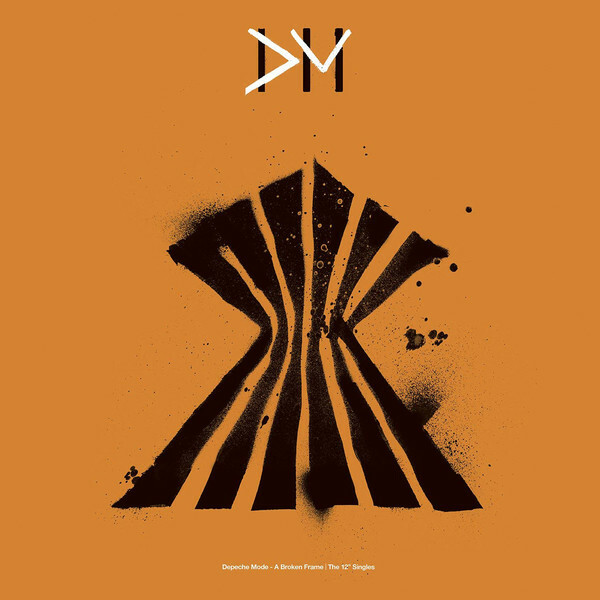 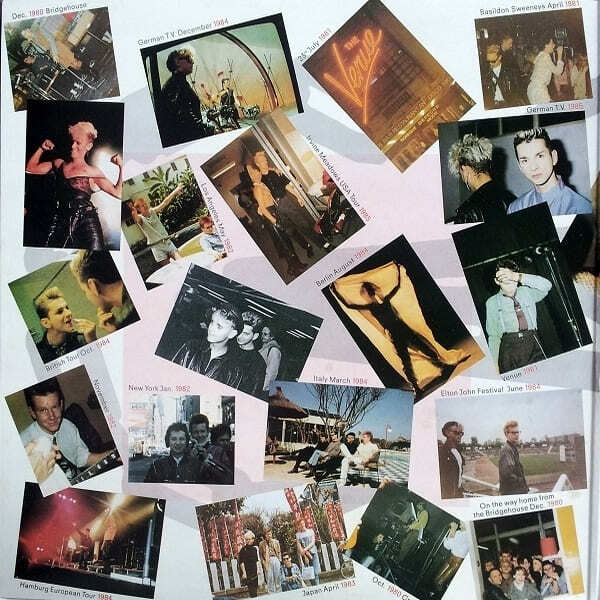 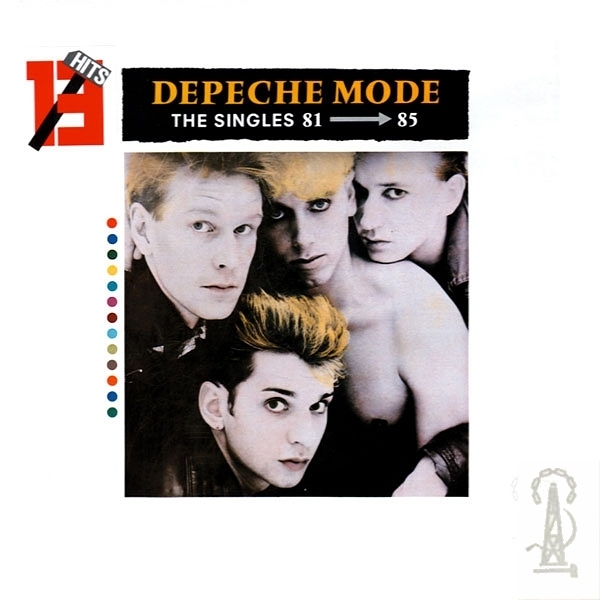 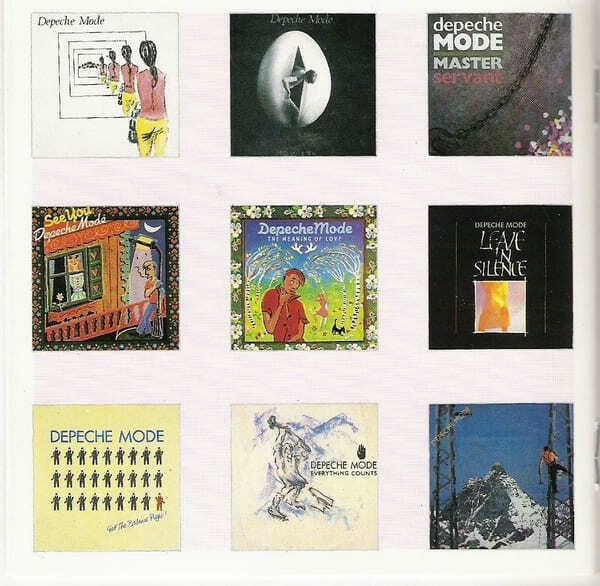 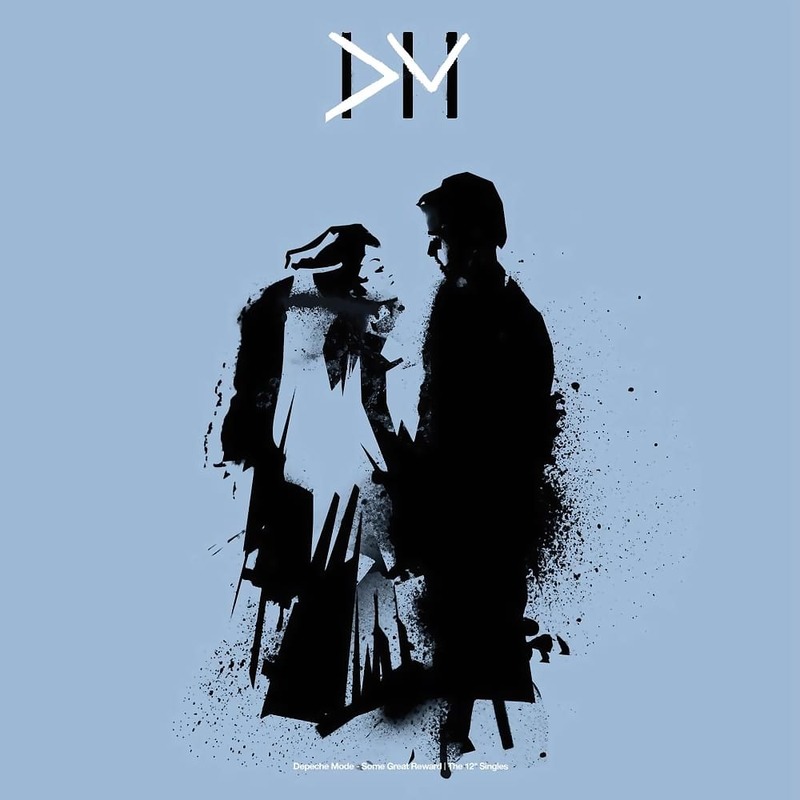 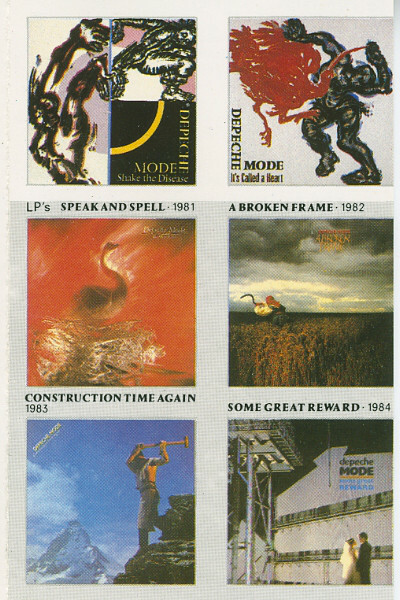 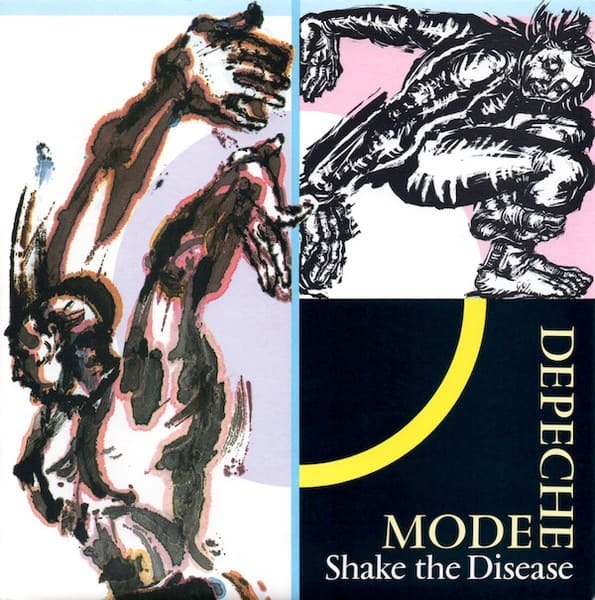 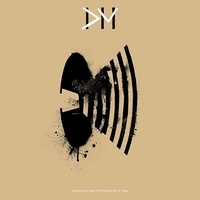 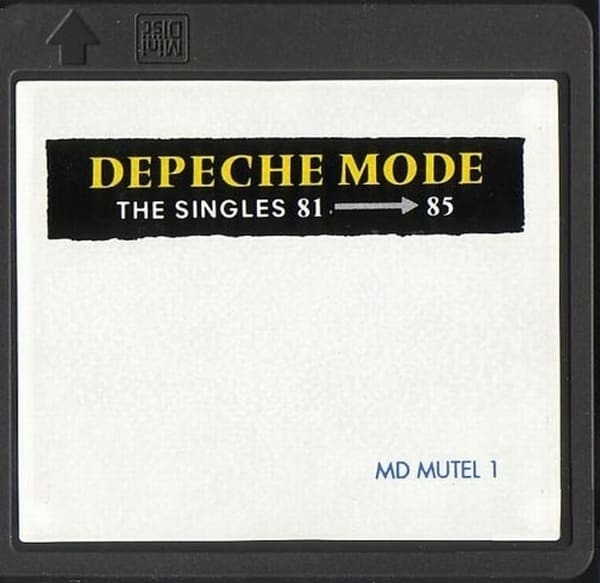 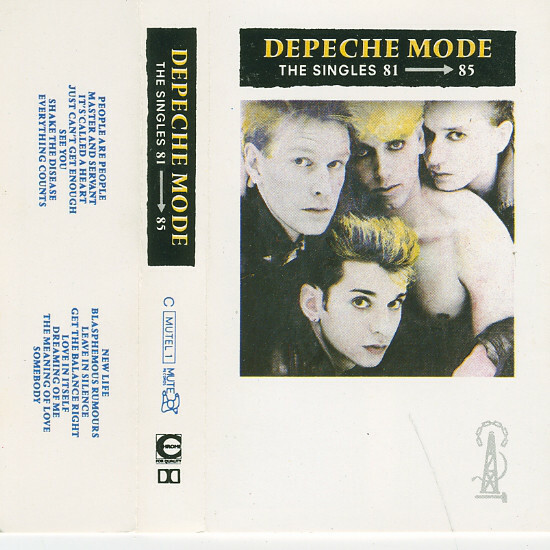 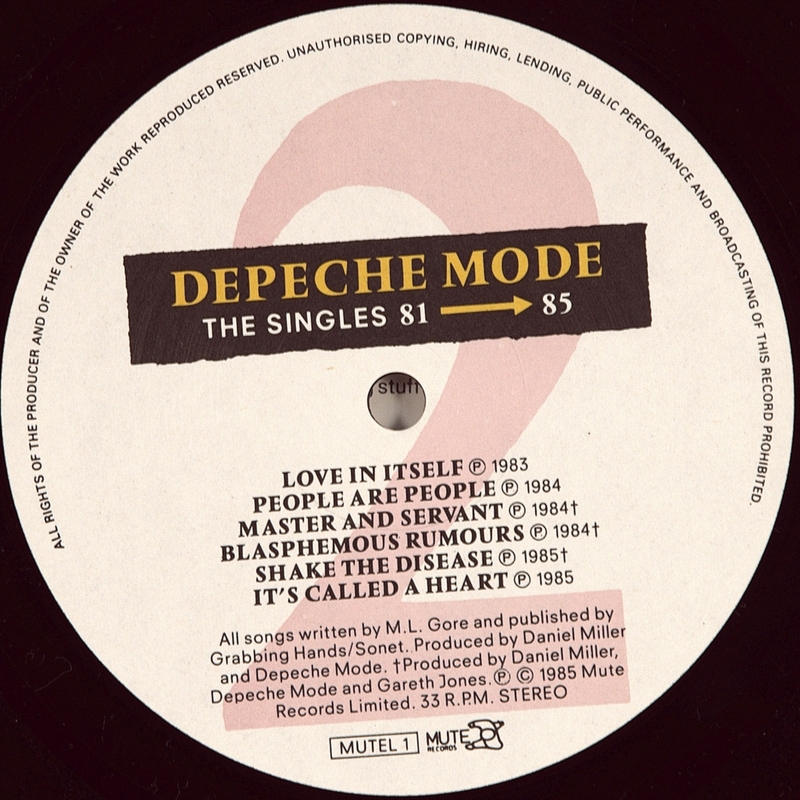 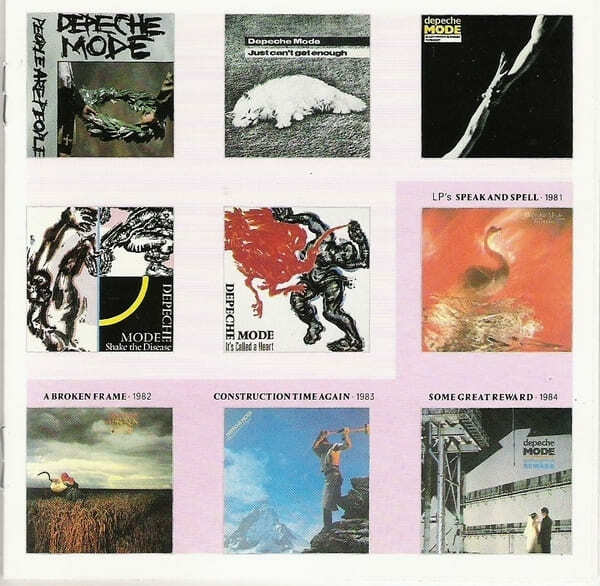 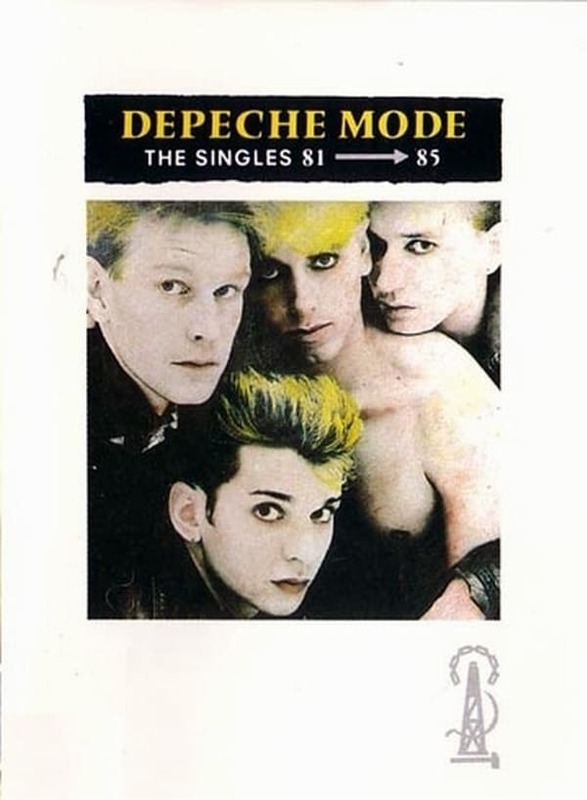 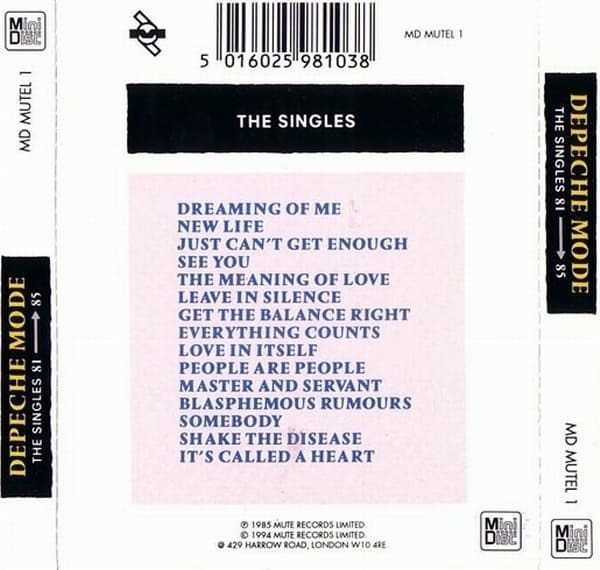 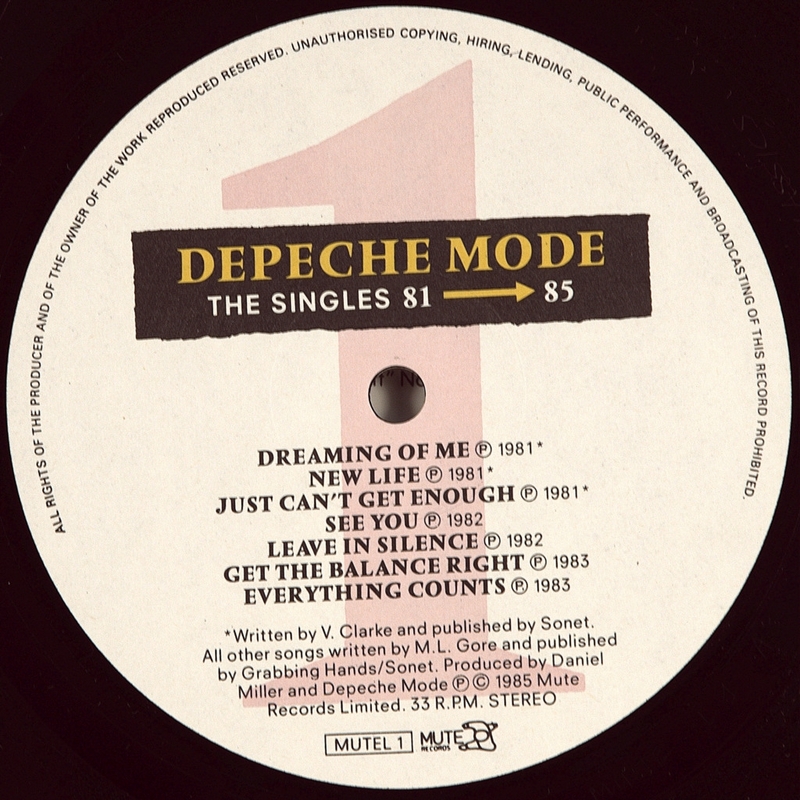 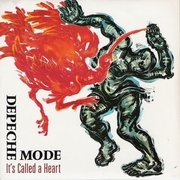 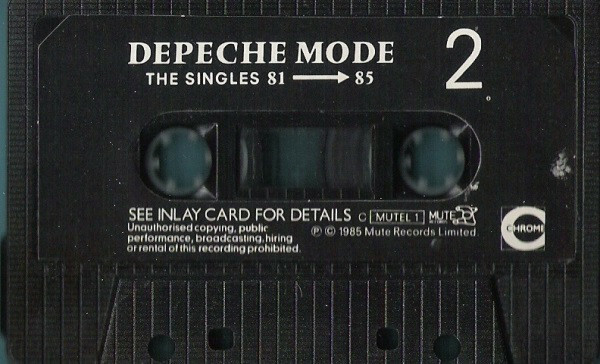 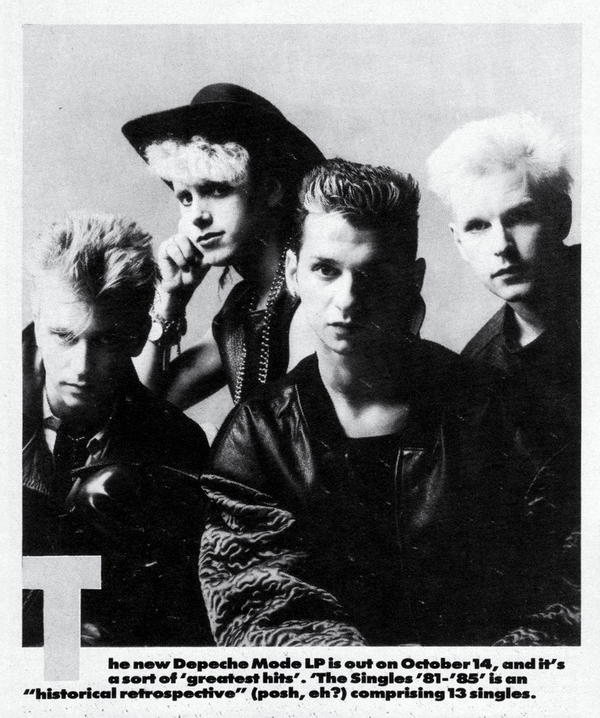 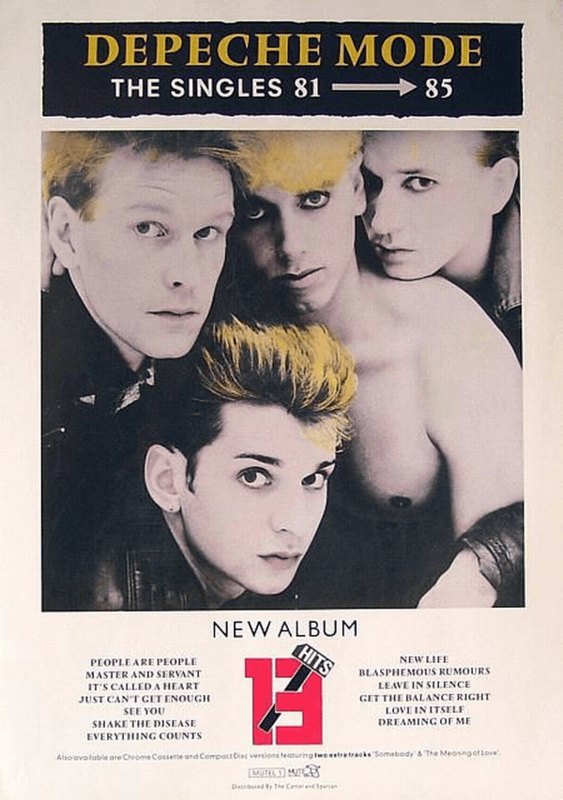 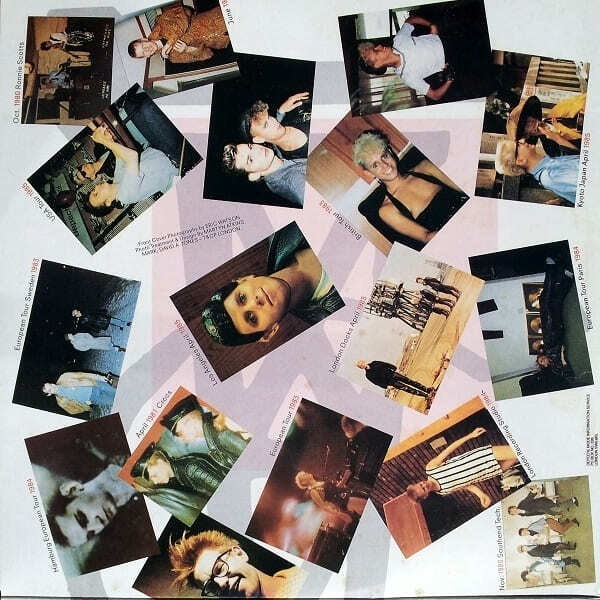 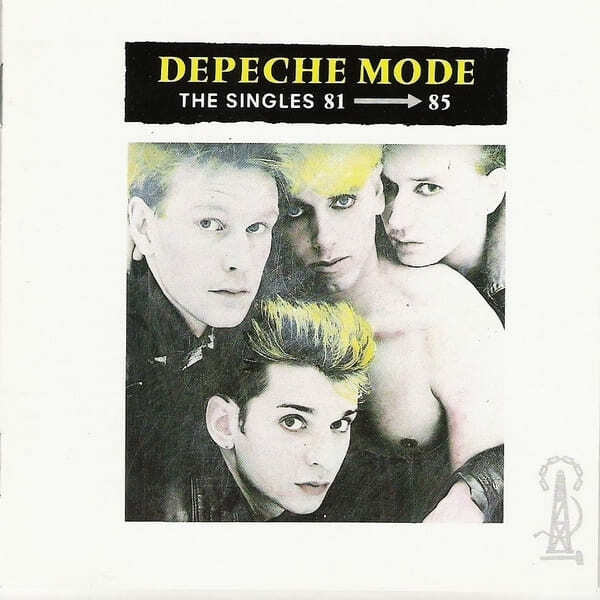 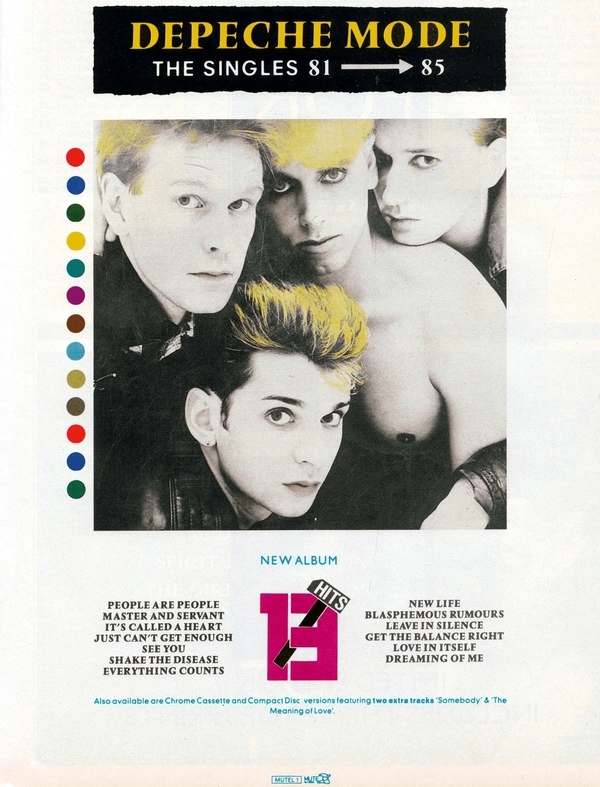 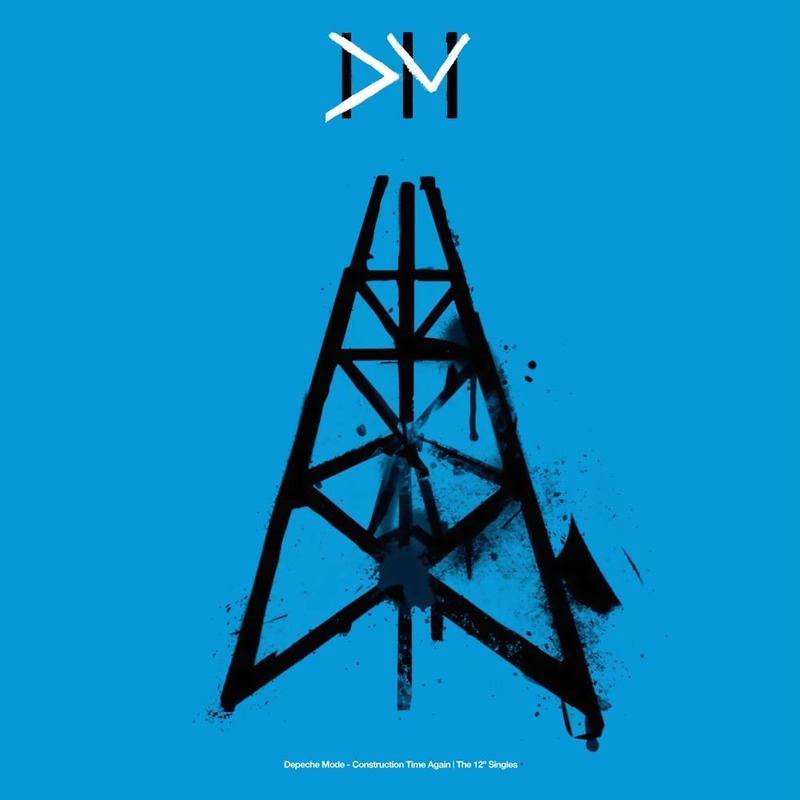 The Singles 81→85 was Depeche Mode‘s first UK compilation album, gathering together all their singles up to that point in sequential order, tacking on the new tracks ‘It’s Called A Heart’ and ‘Shake The Disease’, the latter of which has become something of a live staple for the band. 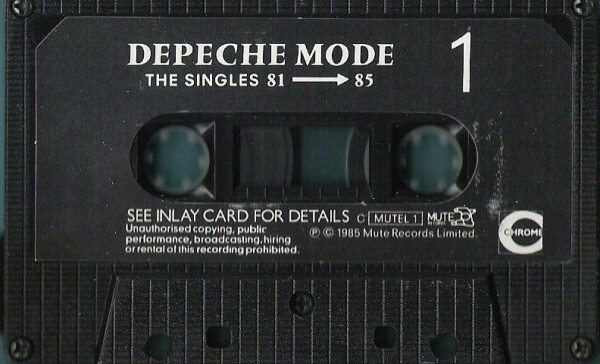 Both tracks were released as singles to support the compilation. 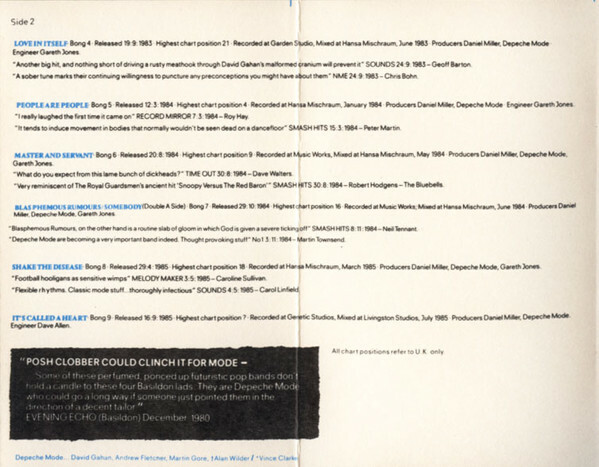 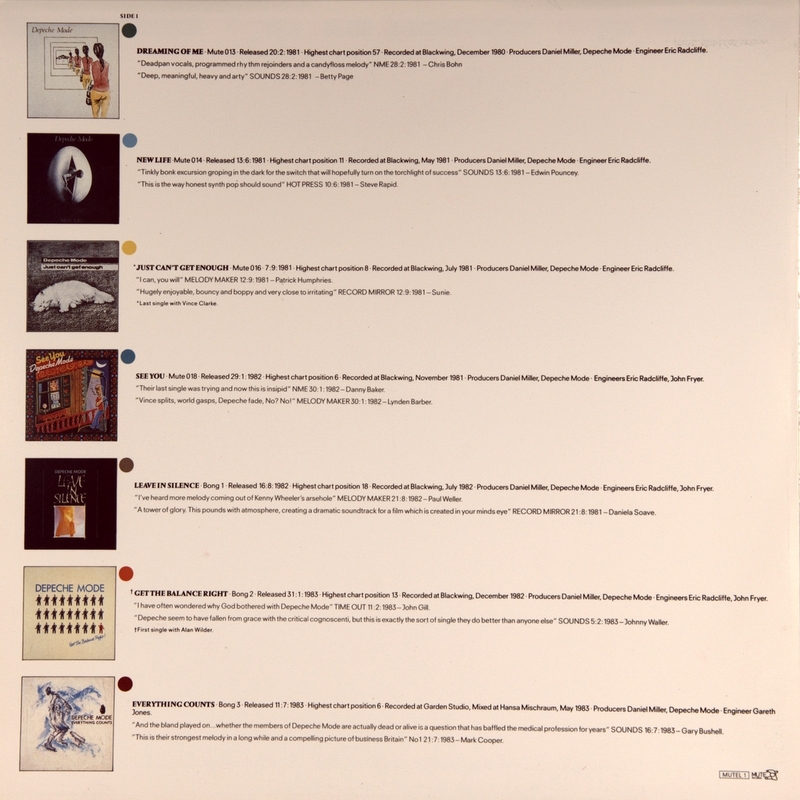 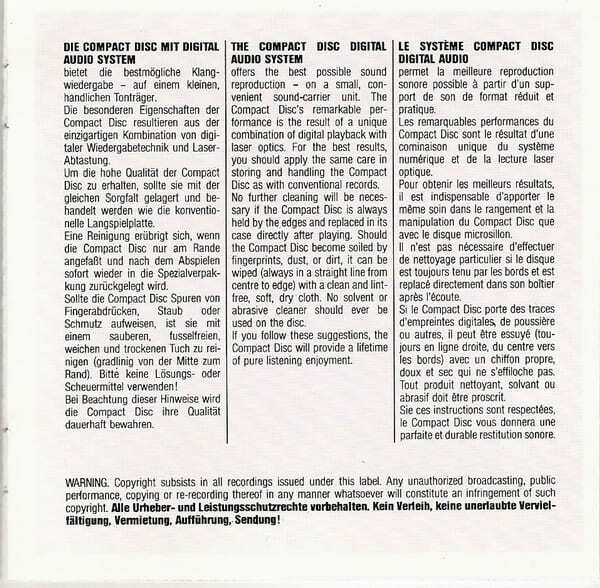 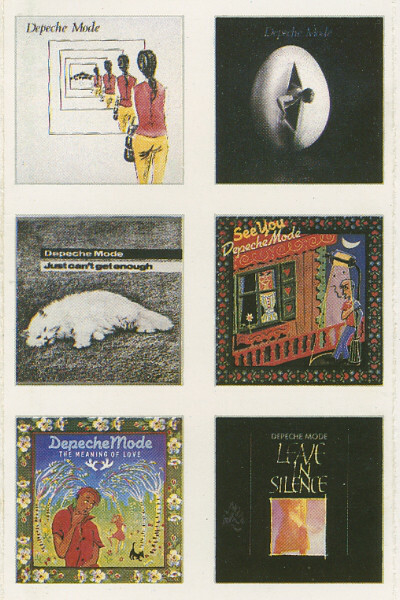 The Singles 81→85 was also the first of a series of artist compilations issued by Mute. 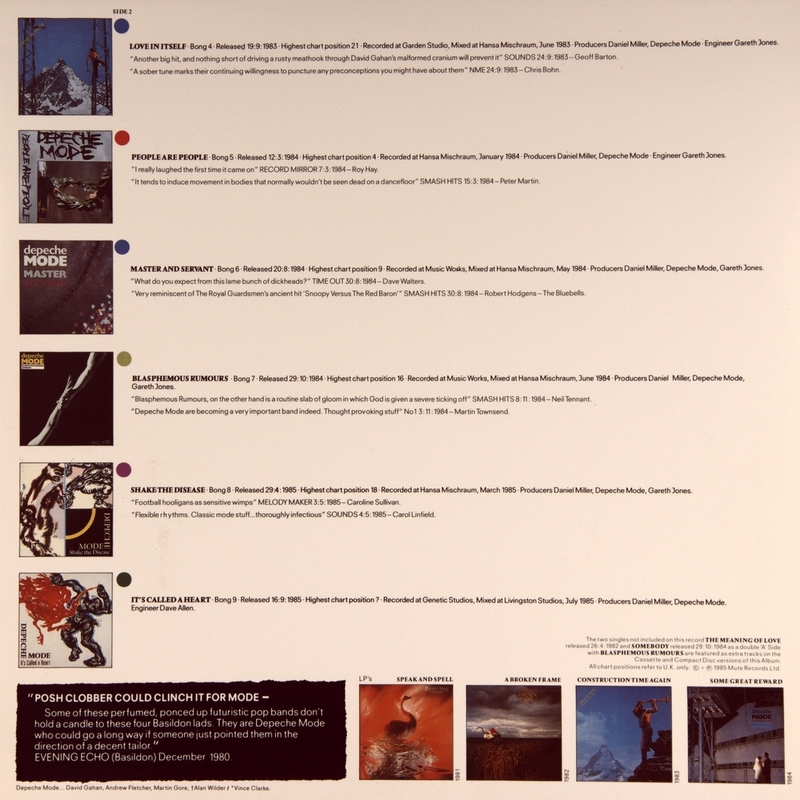 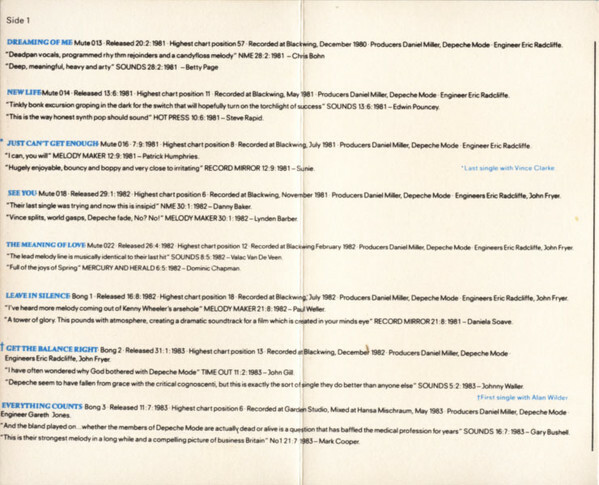 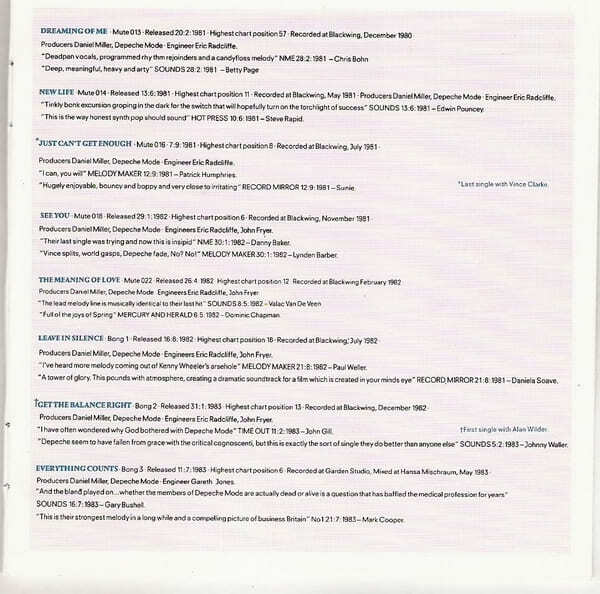 The track list on the reverse reflected each track’s success in the singles charts rather than being in the order they were released in. 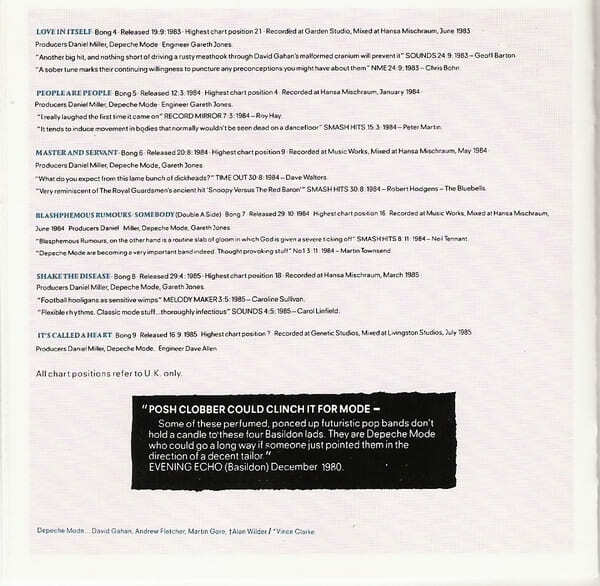 Original releases may or may not have a "13 Hits" sticker on front sleeve. 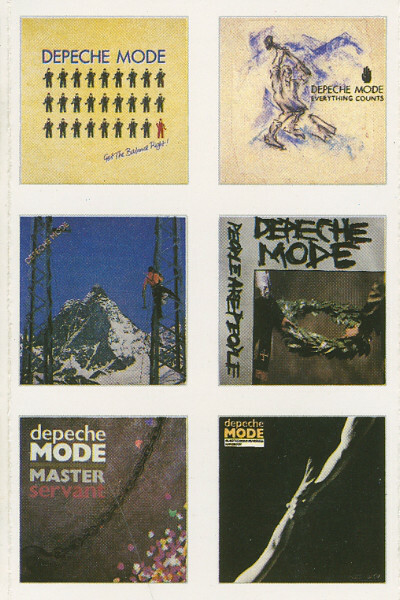 The pictures and icons come in glossy style. 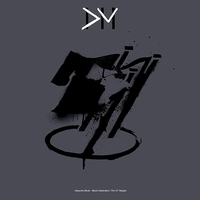 Without barcode, black tape with "Mute Records Limited", short backsleeve. 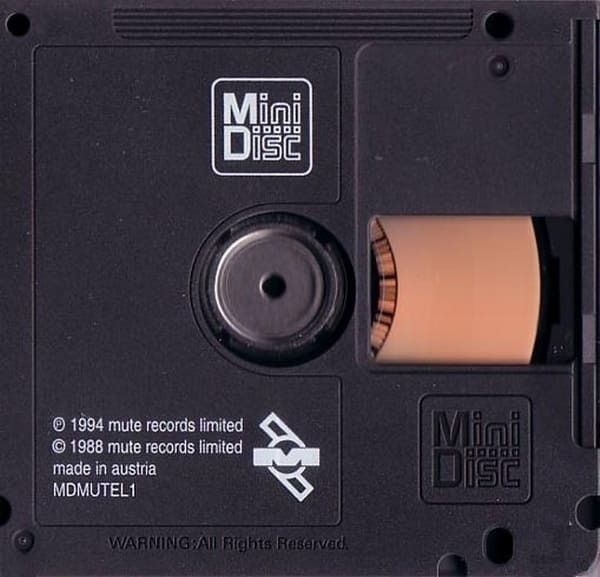 Runout: MUTEL CD 1 MPO 01. 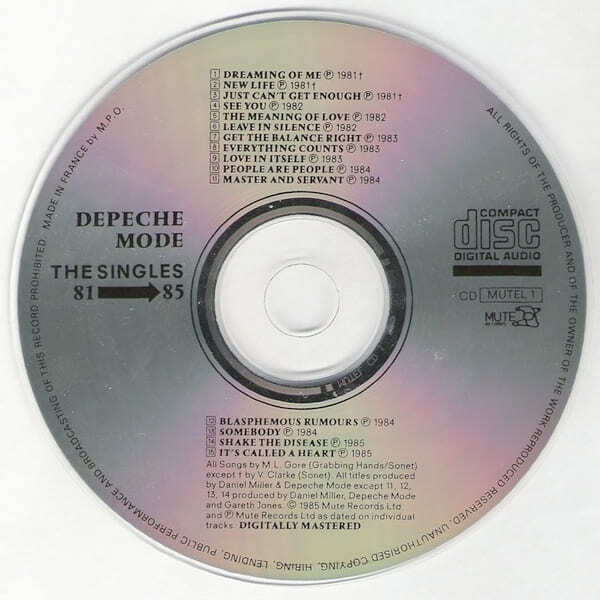 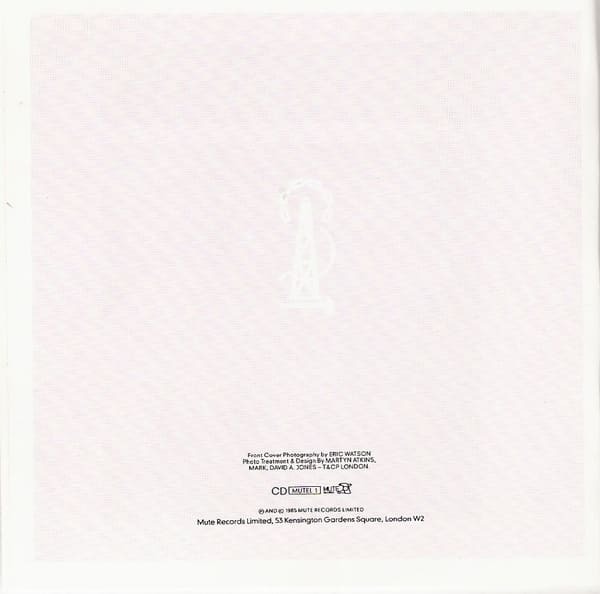 Other CD: MADE IN FRANCE by M.P.O.